Toda Rai Singh is a small town in Tonk district. The origin is with the Bairath culture and civilization. It is said that in the 11th century Khoja or Khwaja gotra Jats were found in Marwar, Ajmer, Jhunjhunwanti areas of Rajasthan. Khoja Ram Singh after a war founded Tonk town. Earlier this town was called Tonkra. The descendants of Ram Singh ruled Tonk for many years. In Akbar’s regime, the king of Jaipur, Man Singh conquered Tari &amp; Tokra Janpad. In 1643 twelve villages of Tokra was given to Bhola Brahmin. Later Bhola gave the name “Tonk”. Toda Rai Singh is a historical city situated in Tonk district and was established in the year 1901. It is surrounded by hills and this ancient is of great archaeological significance. In earlier times it was known as Takshakpur, Takshakagadha, Todapattan, Ishtikapur, etc. it was founded by Nagas in the 4<sup>th</sup> Century A.D. and this town was ruled by Chauhans of Ajmer and Guhilas of Chatsu. In 15<sup>th</sup> and 16<sup>th</sup> century, this town was capital of Solanki Rajputs. The town got its present name from Rai Singh Sisodia who was the famous ruler of this place. During the reign of Shah Jahan, he was a Mughal mansabdar. Toda Rai Singh is blessed with rich cultural heritage and glorious historical past. 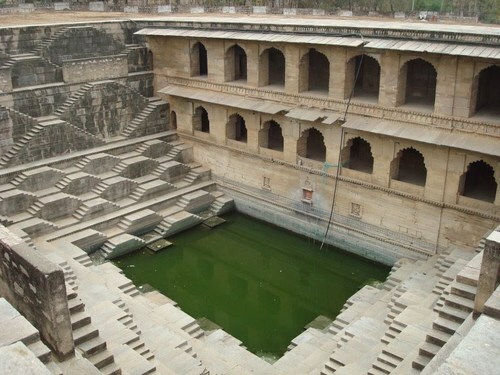 There are many historical places of tourist interest in Toda Rai Singh such as- Ruti rani Mahal, Gadh k Balaji, Neem ki Khan, Budh Sagar, Am Sagar, Hadi Rani ki Baori, Raja Rai Singh’s Mahal, Isar Baori and Bhopat Baori. The temples of Raghoraji, Govind Deo Ji, Gopi Nath Ji, and Kalyanji are also popular. Todaraisingh is one of the town in tonk district in Todaraisingh Mandal in Tonk Distric in Rajasthan State. It is 36 km far from the main Tonk City and 103 km far from Jaipur City. As of 2001 India Census, Toda Rai Singh had a population of 21, 203. Out of the total population, there are 52% males and 48% females. Average literacy rate of Toda Rai Singh is less than the national average literacy rate which is 59.5%. Male literacy is 70% and female literacy is 42%. Out of the total population of Toda Rai Singh, 18% of its population is under the age of 6 years. The most influential business community in Toda Rai Singh, are the Jains. There are 10 historic temples and the temple of Shree Adinath Bhagwan contains very charismatic and old idol of Bhagwan Adinath. Many Ngo’s like Bharat Vikash Parishad are working in Toda Rai Singh to uplift the minorities and to prosper old age people, schools by arranging camps, cultural programs and charities. Toda Rai Singh is a historical place and has almost 300 years old palace and other monuments as well. It is famous for four things- Ghatti, Patti, Bawdi and Dawdi. Ghatti is used in Flour mill; Patti is used in building houses; Bawdi stands for small well and Dawdi means Beautiful girls. As we enter in Toda Rai Singh, the feeling of ancient city being reborn and the feeling of modern growing city as well are derived. It offers the tourism a charm and elegancy of the past, the enjoyment and entertainment for present and a ray of hope for the future. The lavished sweets made from water melons are very delicious. Toda Rai Singh is a must visit place if one feels like having fun and enjoyment. Hathi Bhatha is also a major source of attraction here. It is located on Tonk-Sawai Madhopur road from Tonk. A beautiful elephant is carved from a single stone and it is bigger than the real elephant.